The S9 AutoSet For Her includes an identical feature set to the original silver S9 AutoSet System; but the S9 AutoSet For Her has been enhanced with a light pink brushed metal surface, floral patterning on the display and a travel bag with stylish pink highlights. Enhanced AutoSet - All Auto-CPAP (APAP) systems adjust your overall therapy levels to ensure you're receiving the optimal pressure for successful sleep therapy. 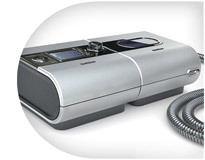 The S9 AutoSet For Her combines an intelligent algorithm with Easy-Breathe expiratory pressure relief (EPR™) to dynamically adjust pressure for maximum comfort. It continually monitors breathing, adapting breath by breath, to deliver the lowest therapeutic pressure, improving comfort and sleep. In addition the S9’s enhanced AutoSet algorithm takes this a step further, differentiating between obstructive (OSA) and central sleep apneas (CSA) and responding appropriately to each. So whether you're experiencing OSA or CSA you can be confident that you're always receiving optimal therapy at the lowest, most comfortable pressures. 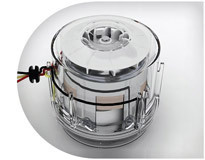 Quietly Capable Easy-Breathe Motor - APAP systems create two types of noise: radiated noise in the room, and conducted noise through the tube. The S9's Easy-Breathe motor with axial air-flow produces less "turbulence" lowering average radiated sound levels to just 24dBA. 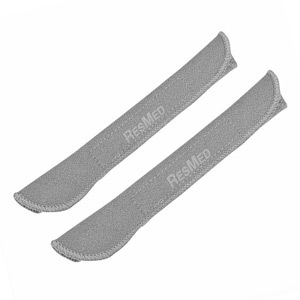 In addition ResMed has reduced conducted noise levels through the breathing tube by 78%. When fully operational the S9 series is no louder than normal breathing! Easy-Breathe EPR - ResMed has updated the clinically proven Easy-Breathe EPR waveform. Breath by breath, Easy-Breathe EPR reduces the work of breathing during exhalation providing a gentler pressure that naturally adapts to your breathing cycle throughout the night. Choose Your Tubing: ClimateLine vs SlimLine - An often overlooked but vitally important element in sleep therapy is the tubing! Tubing designs have remained relatively unchanged for 20-years until now. With the S9 ResMed introduces two great tubing options. SLIMLINE tubing is the lightest, slimmest and most flexible CPAP tube on the market. 40% lighter than traditional tubing, SlimLine tubing eliminates drag on your mask and weight on your bed helping to improve overall fit and sleep comfort. SlimLine tubing also features a smart-fit cuff design that makes it easier to attach and remove the tubing from your machine and mask. When you use an H5i Heated Humidifier with your S9 system then you can select CLIMATELINE heated tubing for truly exceptional comfort. The ClimateLine tube features a temperature sensor at the mask end of the tube. You set your preferred humidity and optimum temperature levels and the S9 Climate Control system adjusts your therapy to suit. Because the system measures temperature at the mask, the temperature you feel will remain at your preferred setting, regardless of changes in ambient temperature or humidity. 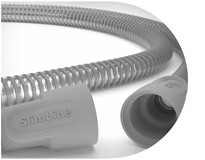 ClimateLine heated tubing offers increased flexibility, more sleeping comfort, less mask drag and prevents rainout without reducing humidity. Enhanced Pink H5i Humidifier (Included) - A great sleep therapy system deserves a great humidifier. The H5i Humidifier with Climate Control is just that. The H5i heated humidifier offers relief from dryness and congestion and integrates seamlessly with the S9. 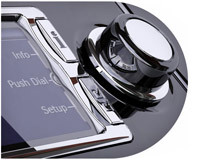 Intuitive and easy to use, the S9's settings screen you can adjust humidity levels at any time during therapy. The H5i's adaptive Climate Control system intelligently adjusts to your environmental conditions and delivers optimal temperature and humidity right to the mask. It protects you from rainout without compromising humidity and provides the most comfortable therapy possible. 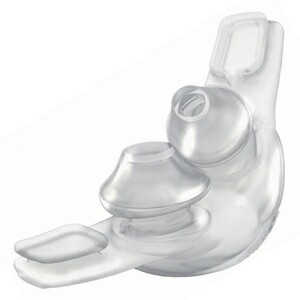 Mask-Fit Made Easy - The S9's Mask-Fit feature is simple and effective. It offers three settings: Nasal, Pillow and Full Face. With the touch of a button you select your mask style and then the Mask-Fit system will run a quick diagnostic to ensure your mask is sealing properly. If your mask needs adjustment the system will alert you so that you can correct any fitting problems you may have prior to starting therapy. Data Rich - The S9 allows you to view a snapshot of your sleep therapy directly on the device. Designed to provide daily feedback and encouragement, the Sleep Quality Indicator identifies usage, leak and AHI information. In addition the Sleep Report offers compliance and therapy data for up to 365 days. Data available includes average usage, used hours, days used, run hours and pressure. The S9 also ships with an SD Card inserted in the device that can be used by your doctor to review more advanced information. 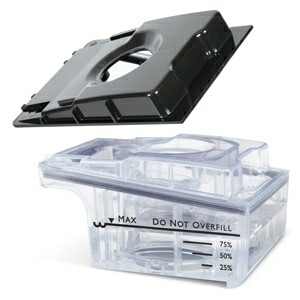 The SD Card provides detailed graphical data and high resolution flow data. It stores 365 days of therapy and compliance data, 30 days of detailed data, and 7 days of high resolution flow data. Compact size offers exceptional treatment in an unobtrusive, user device -- great for home, great for travel! Intelligent Tubing Options - In addition to Standard tubing the S9 Series can use ResMed's exclusive SlimLine and ClimateLine Tubing. In The Package:S9 AutoSet For Her Auto-CPAP with H5i For Her Heated Humidifier, Travel Bag, Starter Filter, 2-Meter Breathing Tube, SD Data Card, Printed Users Manual, Universal 90W Power Supply with Cord, 2-Year Manufacturer's Warranty. Select Additional Tubing & Power Options in Cart. RX Required:Prescription required prior to shipment. Click to learn more about submitting prescriptions. Power Supply: 6.5 x 2.5 x 1.5 inches, 1.25lbs. Approved by the FAA for use on all commercial flights within the US and all international flights that depart or arrive in the US. ResMed confirms that the S9 Series meets the Federal Aviation Administration (FAA) requirements (RTCA/DO-160F) for all phases of air travel. Each S9 Series CPAP/BiLevel Machine includes FAA Approval information, in raised lettering, on the base of the machine for easy identification. Always contact your airline prior to your flight to confirm any requirements they may have -- such as a copy of your prescription and/or a letter of medical necessity -- for allowing your CPAP/BiLevel on board. On Screen Data Review: Daily Feedback Sleep Quality Indicator identifies usage, leak and AHI information. Sleep Report offers summary compliance and therapy data for up to 365 days. Data available includes average usage, used hours, days used, run hours and pressure.